Fantastic Freebies! 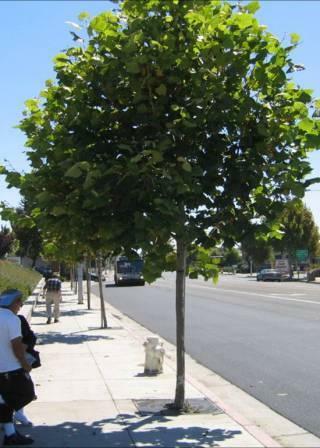 Get a free tree on your street! Okay, I'm cheating a little bit. This one's only available to residents of New York City. The New York City Housing Authority, in cooperation with NYC Parks and the New York Restoration Project, has launched Million Trees NYC, a program dedicated to planting trees all over the city. Over the next ten years, this initiative plans to plant and care for a million trees across the five boroughs. This is a public/private program; 60% of the trees will be planted by the city of New York and the other 40% will, ideally, be provided by private citizens. Mayor Michael Bloomberg and David Rockefeller have started the ball rolling with a joint pledge of $10 million, which will go towards the planting of 18,000 trees. The hope is that this program will help clean New York's air, increase property values, and help provide shade during New York's brutal summers. If you live in New York City and are interested in having a free tree planted in your street, park, or building complex, you can contact Million Trees NYC either at the address above or by filling out this form. Even if you aren't interested in getting a tree in your neighborhood, Million Trees is looking for volunteers, soliciting donations, and offering internships. If you're interested in improving the city, this is the perfect way to get involved! Bruce Watson is a freelance writer, blogger, and all-around cheapskate. He's spent a lot of time sitting under trees and has the bird poop stains to prove it.